Product prices and availability are accurate as of 2019-04-15 02:46:15 UTC and are subject to change. Any price and availability information displayed on http://www.amazon.com/ at the time of purchase will apply to the purchase of this product. 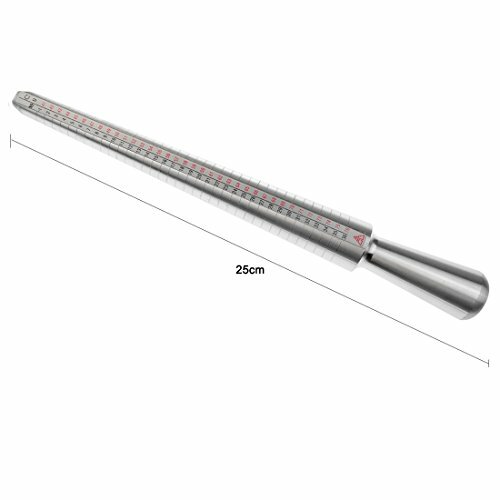 Ring sizer mandrel: 10.23×1.06×1.06 inches Easy to read size chart on mandrel for full and half sizes, with line marks on shaft to get the ring straight before measuring. 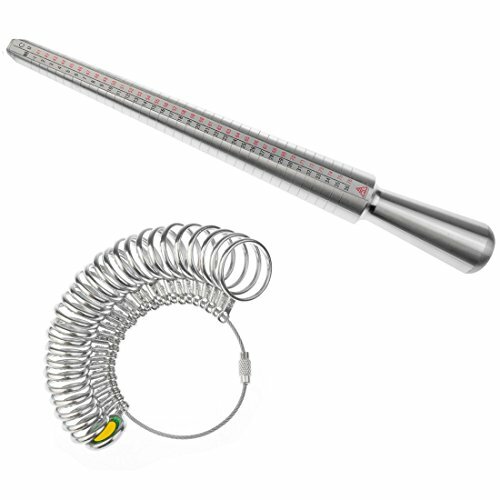 The metal ring stick measure tool with US sizes of 1-15 and european sizes of 41-76. Quality made ring sizer and Heavy duty mandrel all metal. Ring sizer mandrel comes from aluminium material and is solid strong, and the 27 pc ring sizer set is made of stainless steel.